The SiPy is a multi-network (Sigfox, WiFi and BLE) development platform. It is programmable with MicroPython and the Pymakr IDE for fast IoT application development, easy programming in-field and extra resilience with network failover. The best blend of speed to deployment and access to all the new Sigfox networks rolling out across Europe, USA, Africa and India. 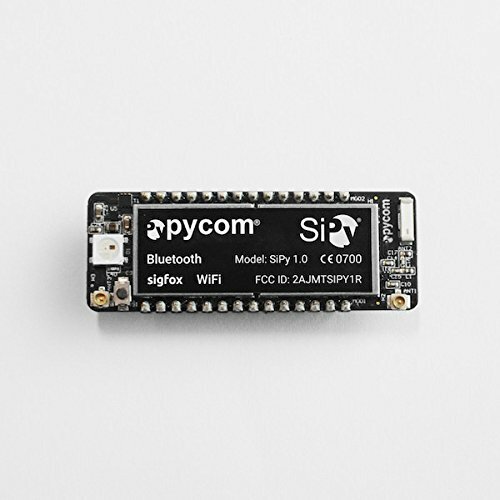 The SiPy is the second triple bearer MicroPython enabled micro controller on the market today - perfect enterprise grade IoT platform for your connected Things. With the latest Espressif ESP32 chipset the SiPy offers a perfect combination of power, friendliness and flexibility. Create and connect you things everywhere. Fast. The SiPy a multi-network (Sigfox, WiFi and BLE) development platform. It is programmable with MicroPython and the Pymakr IDE for fast IoT application development, easy programming in-field and extra resilience with network failover. The best blend of speed to deployment and access to new LPWAN networks rolling out across Europe, USA, Africa and India. The board ships with or without male headers mounted as seen on the pictures. NOTE: Using the Sigfox radio without the external antenna can lead to damage of the device and is therefore not recommended. 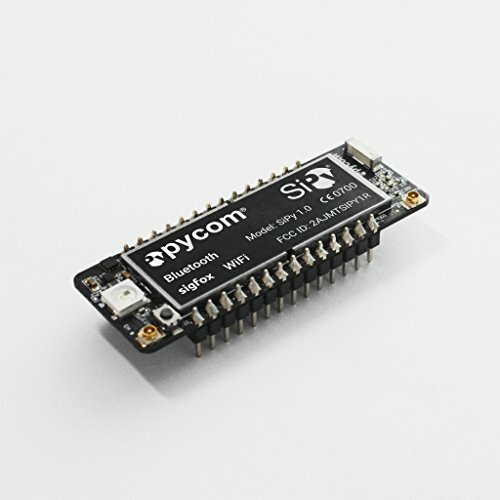 PLEASE NOTE: The Espressif ESP32 firmware on Pycom modules is continuously evolving and buyers are reminded that regular firmware updates will be made available. If you have any questions about this product by Pycom, contact us by completing and submitting the form below. If you are looking for a specif part number, please include it with your message.